Take one look at the growth of this industry and it’s obvious the market opportunity is huge. But we wanted to study this opportunity in the context of consumer activity. How willing are customers to promote brands? And what value can be placed on that word-of-mouth? 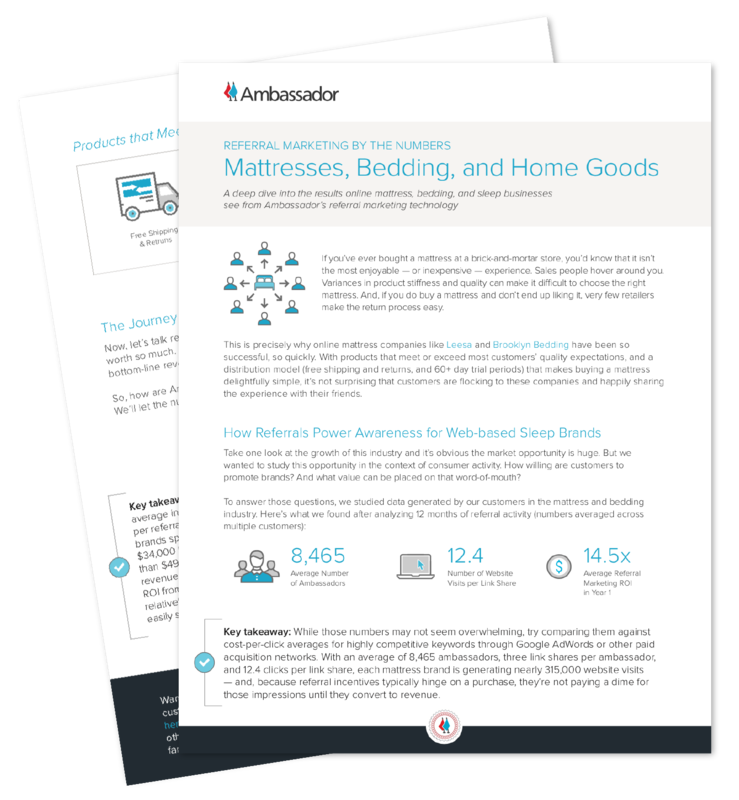 To answer those questions, we studied data generated by our customers in the mattress and bedding industry. Download the report now to see what we found after analyzing 12 months of referral activity across multiple customers.